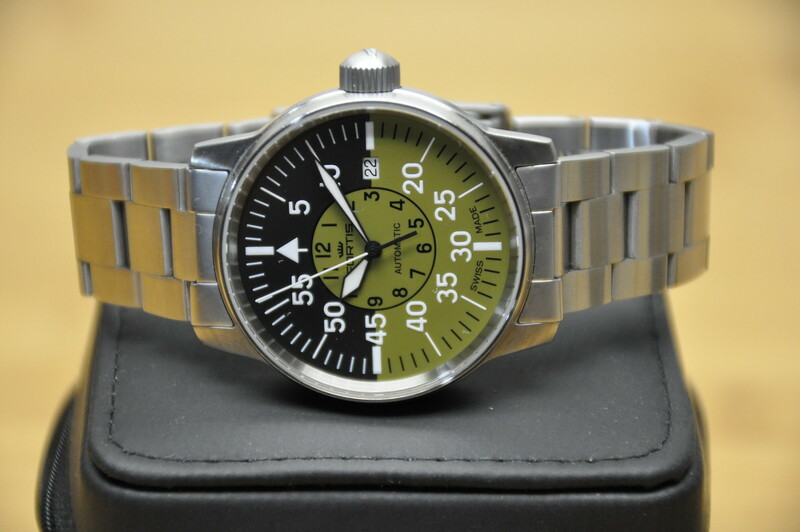 Selling my green and black dial Fortis Flieger Cockpit to make some room in the watch box. Condition is near mint, as the watch exhibits only light scuffs on the clasp and lower links of the bracelet from being worn as I work at my desk. The case is dent and ding free, and the crystal is devoid of scratches. 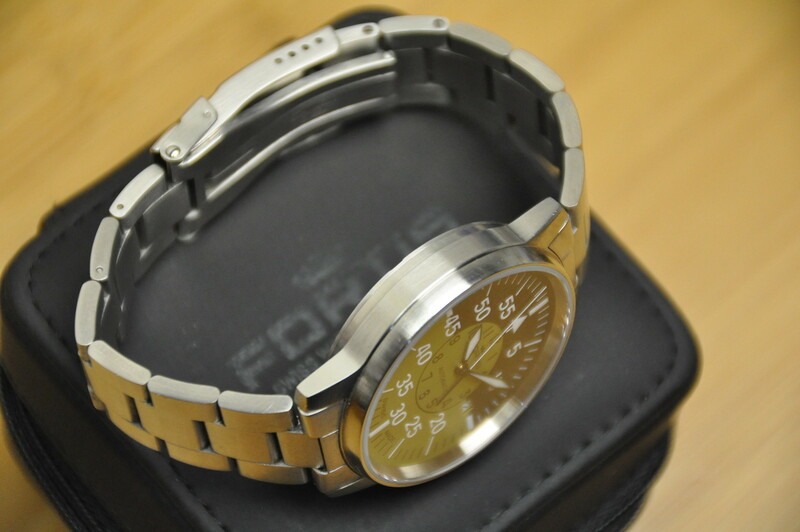 The watch keeps great time, and the date changes crisply. All links are included, with the two that were removed to accommodate my modest wrist in the box. Speaking of which, the manual, warranty card, and inner and outer boxes are all included. Please excuse any dust or reflections in the photographs. Asking price is $550 shipped in the continental United States via USPS Priority Mail insured. PayPal (+3%), bank check and postal money order are all accepted. Please do not hesitate to ask any questions.